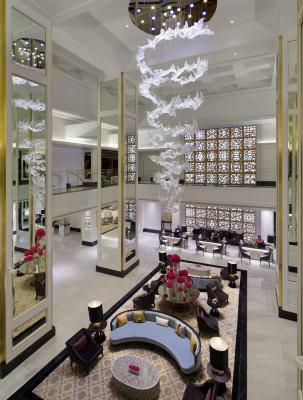 Lock in a great price for Taj Dubai – rated 9.1 by recent guests! The way the team welcoms you shows how much they care about your stay experience. Mr. Amr was very nice and show the place to ensure that i know all facilities of the hotel and my room. The location is good. The room are clean and have good spa. Highly recommended. Cleanliness and staff. The view of the Burj Khalifa was awesome! Nice location, very comfortable room, nice restaurants and bar, definitely will come back. Excellent service. 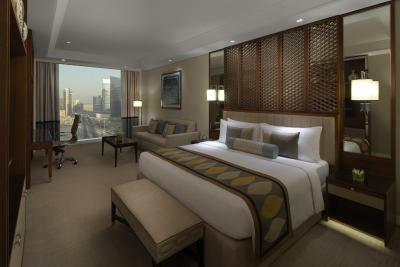 luxury room with burj Khalifah view was wonderful esp higher floors. Welcome refreshing drink. Valet parking. Moltin brown amenities with indian crest were very nice. Beautiful robes and towels. Complimentary 2-4 water bottles every day. Fantastic view of Burj Khalifa though somewhat affected by the construction works. Staff were very friendly, courteous and helpful. The rooms and public areas were clean. 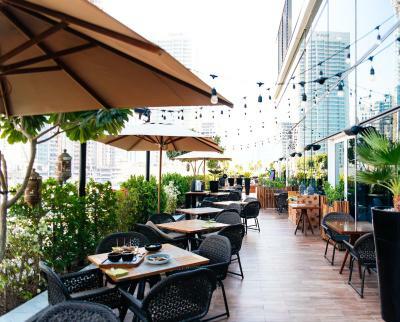 Taj Dubai This rating is a reflection of how the property compares to the industry standard when it comes to price, facilities and services available. It's based on a self-evaluation by the property. Use this rating to help choose your stay! 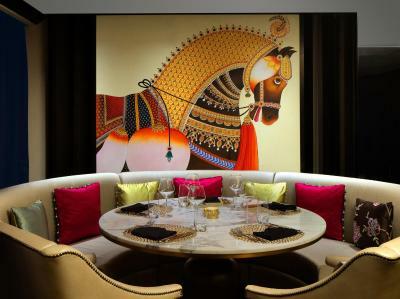 Featuring panoramic views of Burj Khalifa, the luxurious Indian themed Taj Dubai is located in the heart of the business bay area just a stone’s throw away from the Dubai’s famed Downtown area and Dubai Mall, that can easily be reached with the free shuttle bus that the hotel operates. 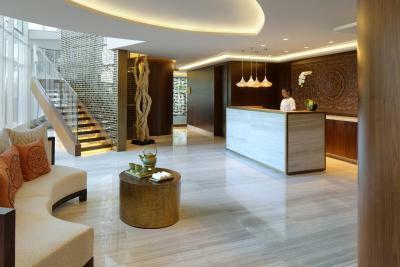 It includes an outdoor pool, a spa and wellness center. Guests can enjoy free WiFi access in all areas of the hotel. 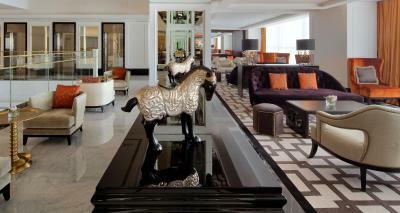 Taj Dubai offers modern and luxurious accommodations. 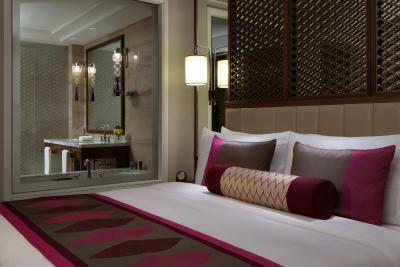 Each room here will provide you with air conditioning, a mini-bar and a seating area with a flat-screen TV. Featuring a shower, the marble bathroom also comes with a bath and 2 sinks. 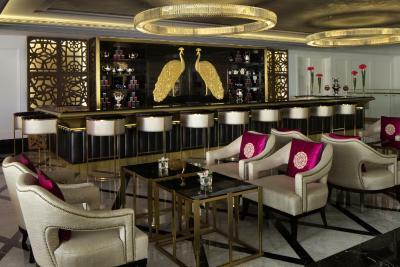 At Taj Dubai you will find a diverse and exotic range of classic and contemporary restaurants, lounges and bars. 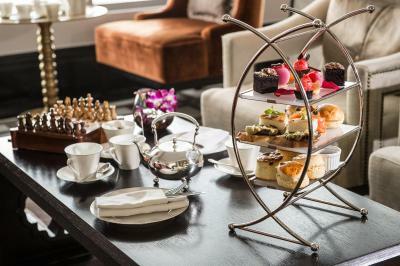 Guests can savor delectable British & International dishes at The Eloquent Elephant, relax in Byzantium Lounge with its art deco style, or enjoy the spectacular Burj Khalifa view from the urban roof top oasis Treehouse. 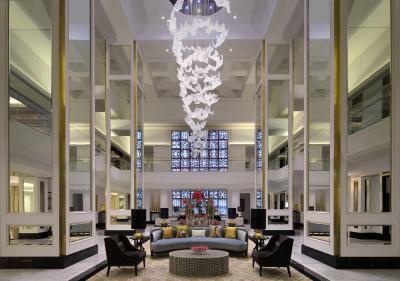 The Taj also houses the esteemed restaurants: international cuisine at Tesoro, Asian street food at Mistess and Indian cuisine at Bombay Brasserie. A great crowd puller is the exclusive nightclub Billionaire Mansion. 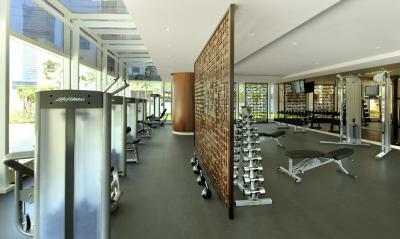 Guests can keep fit in the hotels state of the art fitness center or the outdoor swimming pool. 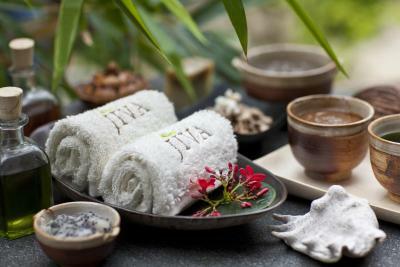 Jiva Spa offers a nurturing retreat after a hectic day in the city. 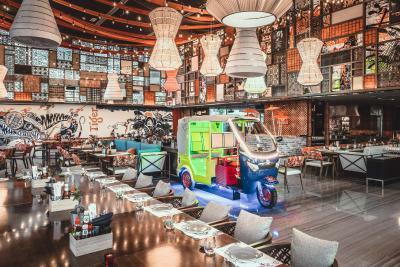 The hotel is a 10-minute drive from Mall of the Emirates and a 20 minutes away by car from Dubai Marina. Dubai International Airport is 10 mi away and Al Maktoum International Airport is 31 mi from the property. It is also very well placed within a 10 minute drive from Dubai’s Financial Center. The property offers free valet parking. 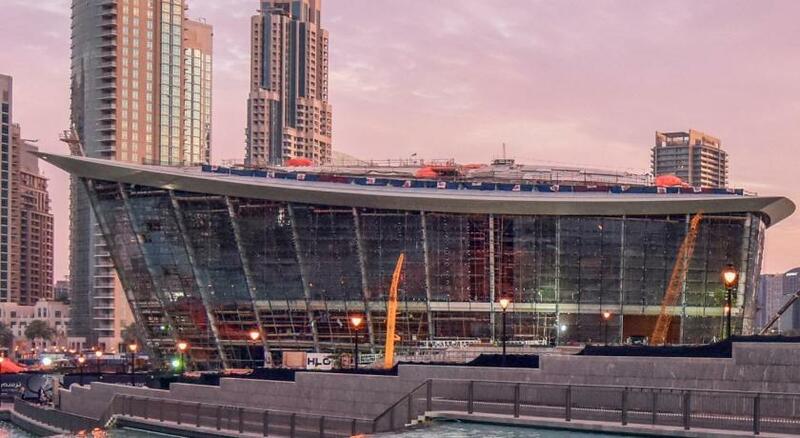 Business bay Metro Station and Burj Khalifa Metro station are both within a mile from the property. 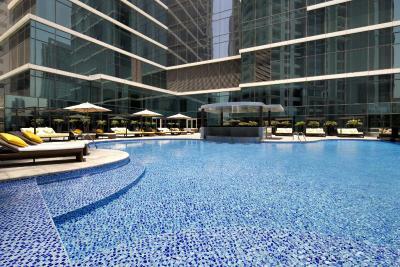 When would you like to stay at Taj Dubai? Featuring floor to ceiling views of the city, this modern, air-conditioned room offers a seating area with a flat-screen TV, a mini-bar and a tea/coffee maker. The marble bathroom is fitted with 2 sinks, a bath, a hairdryer and Molton Brown toiletries. 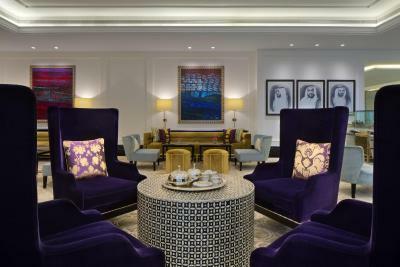 Featuring floor to ceiling views of Business Bay, this spacious, air-conditioned room offers a sitting area with a flat-screen TV, a minibar and a tea/coffee maker. The marble bathroom is fitted with 2 sinks, a bathtub, a hairdryer and Molton Brown toiletries. 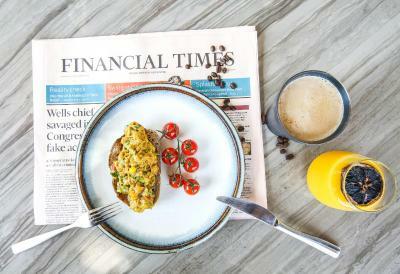 Featuring floor to ceiling views of Burj Khalifa, this modern, air-conditioned room offers a seating area with a flat-screen TV, a mini-bar and a tea/coffee maker. The marble bathroom is fitted with 2 sinks, a bath, a hairdryer and Molton Brown toiletries. Featuring views of Business Bay, this elegant, air-conditioned suite offers a living area with a flat-screen TV, a mini-bar and tea/coffee facilities. The en-suite marble bathroom is fitted with 2 sinks, a bath, a hairdryer and Molton Brown toiletries. Featuring views of Business Bay, this elegant, air-conditioned suite offers a living area with a flat-screen TV and a media hub. It also includes a mini-bar and tea/coffee facilities. The en-suite marble bathroom is fitted with 2 sinks, a bath, a hairdryer and Molton Brown toiletries. 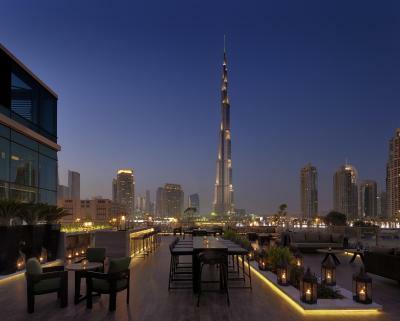 Featuring panoramic views of Burj Khalifa, this modern, air-conditioned room offers a seating area with a flat-screen TV, a mini-bar and a tea/coffee maker. The marble bathroom is fitted with 2 sinks, a bath, a hairdryer and Molton Brown toiletries. Featuring panoramic views of Burj Khalifa, this spacious, air-conditioned suite offers a living area with a flat-screen TV and a media hub. There is also a dining area, a mini-bar and tea/coffee facilities. The en-suite marble bathroom is fitted with 2 sinks, a bath, a hairdryer and Molton Brown toiletries. 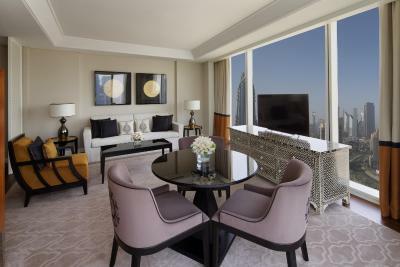 Featuring panoramic views of Burj Khalifa, this extra spacious, air-conditioned suite offers a living area with a flat-screen TV and a media hub. There is also a dining area, a mini-bar and tea/coffee facilities. The en-suite marble bathroom is fitted with 2 sinks, a bath, a hairdryer and Molton Brown toiletries. Please note this room can not be used for parties. 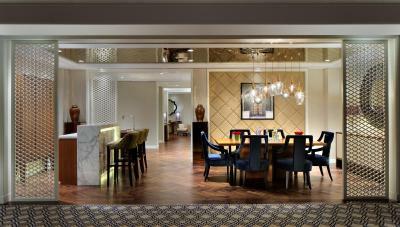 The Maharajah Suite is decorated with traditional Indian artifacts. 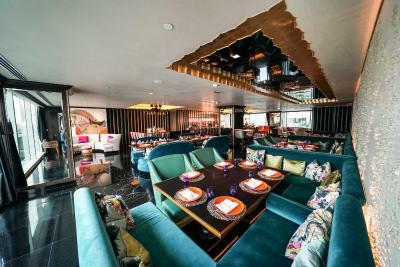 It is Located on the 33rd floor with views of Burj Khalifa. It includes a master bedroom with an attached bathroom, large living room, dressing area and a dining room. It includes a Club Lounge Access, cocktail hours, butler service, steam, sauna and a limited meeting room usage. 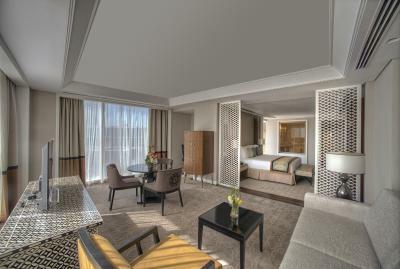 Presidential Suite features an elegant, modern decor. 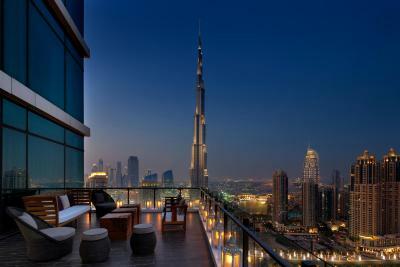 It occupies the 35th floor with panoramic view of Burj Khalifa. This suite has a master bedroom with an attached bathroom, twin bedded guest room, large living room, dining room, office space, yoga Studio and a private gym. It includes complimentary round trip Dubai (DXB) Airport, Private Butler Services, Club Lounge Access,Cocktail Hours,Steam & Sauna. 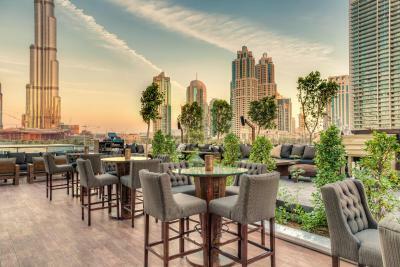 Taj Dubai comprises of 296 guestrooms, including Taj Club Rooms, Junior and Luxury Suites, lavish themed Suites intricately designed offering panoramic views of Burj Khalifa. 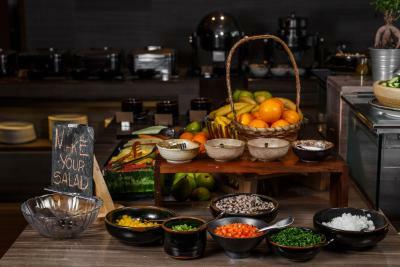 House Rules Taj Dubai takes special requests – add in the next step! Any additional older children or adults are charged AED 300 per night for extra beds. Taj Dubai accepts these cards and reserves the right to temporarily hold an amount prior to arrival. Please note that the hotel has the right to pre-authorize credit cards prior to arrival at anytime. Please note that the free shuttle bus operates at fixed intervals between 10.00 and 21:30 hour daily. We arrived tired from an overnight flight and the front desk arranged an early check in.The service team at breakfast especially Wendy and Vivek we exceptional attentive to the family. Ajeet at the Bombay Brassiere was amazing. The cleaning team we awesome. Breakfast in the room was bad! 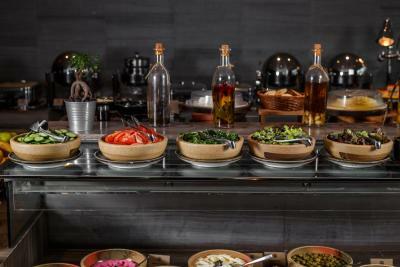 I ordered the Arabic brekky and nothing tasted good at all! Bedrooms have furnishings with stains on them such as the carpet or the headrest at the bed which was chipped and old looking. 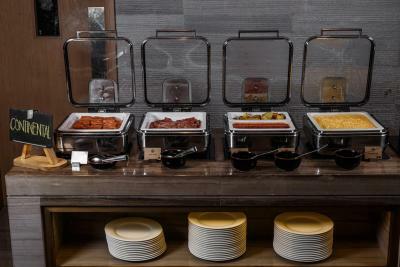 Breakfast was very slow and not good maintenance of hygene at the food serve stations . AC, not cold enough and it’s not even summer yet ! 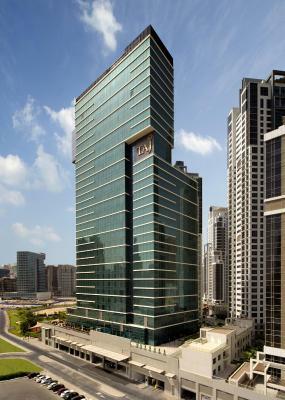 Fantastic location on the corner of business bay / downtown Dubai. 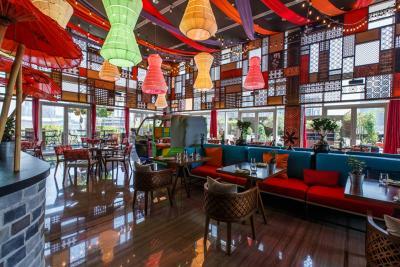 I loved the Taj Mahal inspired feel, the hotel was exquisitely furnished, very classy, great breakfast and dinner, and treehouse shisha was amazing. We had an amazing view of the Burj Khalifa from the club room. Perhaps longer timing for breakfast, it was a bit crowded some of the days otherwise everything perfect! 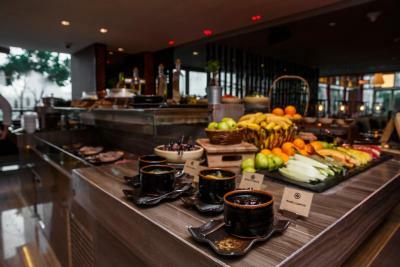 The hotel, staff very friendly and helpful with everything,amazing breakfast, location is perfect and great with the shuttle service that takes you to Dubai mall every hour! I would highly recommend this hotel and for sure coming back! Incredible service, every member of staff was professional, friendly, and accommodating to our every need - often before we even realized we needed it! Celebrated my mother’s 60th and staff went above and beyond to aid in the celebration. Balloons in our room, birthday cake, singing for her at afternoon tea. The room was luxurious and spacious and impeccably clean. Love the Molton brown soaps - those small things that increase your feeling of indulgence. We travelled with three children under 7 and they were very well accommodated by staff (well actually they were spoilt by staff ☺️). 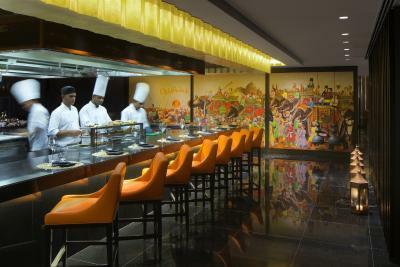 We would definitely return to taj and Will recommend it to our family and friends. Many: 1. Room maintenance is sub bar. 2. Many TV channels are not working and poor selection. 3. Laundry service is extremely slow. 4. WiFi is weak. 5. Today at breakfast I was served with an open jar of jam. I can still list more, but surely it was an experience that won't be tried again.